First month free! Limited time! What is home warranty insurance and what does it cover? Home warranty insurance goes beyond your regular homeowner’s insurance as it directly covers the home appliances and major systems in the home. It also takes care of any major repairs or replacement due to normal wear and tear. Typically, home warranty insurance provides coverage for one year at a time. 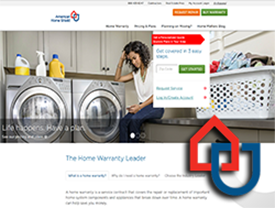 The best home warranty? Well, the most typical purchases are current home owners who are selling their home and wish to give the new buyer some peace of mind. Less common purchasers are future home owners constructing a new home who wish to cover things such as a contractor who fails to finish, falling behind schedule, or even dying during the project. While every policy is different in terms of what is covered and what is not, typically, a home warranty policy covers the home appliances such as the dishwasher, refrigerator, oven, stove, microwave, etc. Systems can also be includes such as the furnace, AC units, water heaters, etc. You should understand that if you are selling your home and the dishwasher just broke, you can’t get a home warranty insurance policy and say, “Hey! The dishwasher needs repair.” Every appliance and system that is covered in the policy must be in proper working order when the contract goes into effect. What is the average cost of a home warranty? The average cost of a basic coverage plan ranges from $350 to $600 per year, with an enhanced plan costing an additional $100 to $400. Prices reflect not only coverage, but also a company's loss history, which is determined by how often an item breaks down and the cost to repair it. For example, if you have appliances that have a history of break down, your cost will be higher than if you had appliances with a top dependability ratings. What are the differences between a home owner’s policy and a home warranty? Both homeowner’s insurance and home warranty contracts are designed to help you in the event you suffer loss or damage to your home, your home’s systems, appliances, or belongings. There are instances where coverage does overlap, but for the most part, the coverage is different and it is a wise decision to have both to give you the peace of mind you need with the high cost of repairs and replacement. Homeowner’s Insurance – normally covers the structure of your home, your personal belongings, including furniture, and other structures on your property that suffer damage caused by fire, storms, robbery, etc. There are exclusions in a homeowner’s policy (many, many exclusions), so make sure you completely read your policy so you know what you are covered for and, more importantly, what you are not covered for. Home Warranty – covers repairs and replacements on the major systems and appliances within your home that fail due to normal wear and tear. The systems and appliances must be in proper working order when the contract is entered into with the home warranty company. Issue: Heavy rain causes a break in your foundation and results in major water damage to your home. Result: Typically this is NOT covered by either homeowner’s insurance or a home warranty as this is considered “ground water” and nearly every homeowner’s policy has an exclusion for “ground water.” This is exactly why you need to READ your policies before agreeing to them so you have complete understanding of what you are covered for and what you are not covered for. Issue: A major hail storm causes damage to your roof. Result: This would typically be covered by your homeowner’s insurance. There isn’t usually a hail exclusion, but refer to your policy for coverage options, as standard policies cover structural damages caused by hail. Issue: Your furnace stops working in the middle of winter. Result: Covered by home warranty. Issue: A grease fire in your kitchen damages the walls and cupboards in your kitchen. Result: Homeowner’s insurance will cover loss due to damage to the home’s structure, including fire damage. Issue: The microwave stops working because your child put a metal fork and turned it on. Result: This would not be covered by home warranty policy because it resulted from negligence and not from normal wear and tear. Nor would it be covered by homeowner’s insurance because it is not a loss due to robbery or a storm. Issue: The refrigerator breaks down completely. Result: Home Warranty. Typically all appliances are covered for all repairs or replacement, unless otherwise stated in the contract, for all repairs or replacement. Issue: A major wind storm blows a tree onto your house. Result: Homeowner’s insurance will cover all repairs associated with the damage caused by the tree. Issue: The air conditioning unit fails. Result: Home warranty will cover the repair or the replacement (based on your contract) for the unit. What are some of the most popular home warranty companies? Here are some of the most popular home warranty companies. This list is just that, most popular, and does not reflect an endorsement of any company listed. Is a home warranty worth the cost? According to the L.A. Times, homes with home warranties sell, on average, 11 days quicker, and for $2,300 more, than those that don’t. However, there is a consumer organization, which states that a home warranty just isn’t worth the cost which can average $400-$600 per year. According to respected Consumer’s Checkbook, it is a wiser choice to place the money into a “home repair fund” should the need for it arise. 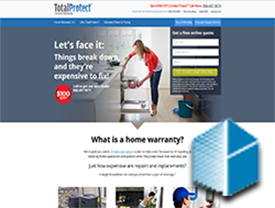 They state that it technically is not a “warranty” that you are buying, rather a “service contract” to protect you against the high cost of repairs to major appliances, heating and cooling systems, electrical, plumbing and water systems, etc. It should also be noted that when a claim is made you have no say in the contractor that is used for the repair. 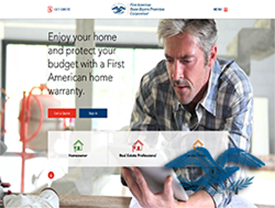 The home warranty company will make that choice for you. While Consumer’s Checkbook makes a good argument against a home warranty, suggesting that the majority of the time nothing goes wrong and it is just “wasted money” that could have gone to something productive, the bottom line is that a home warranty policy still it gives peace of mind to the buyers. That is key, along with knowing that a home with a warranty sells faster for more money than those without. Key point: Homes sell for an average of $2,300 more with a home warranty, and a home warranty will run typically $400 - $600. That sounds like a sound investment. 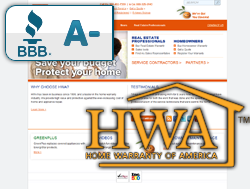 Check Best Home Warranty Reviews for the most current information on who is the best home warranty company and detailed information so you can make the proper choice. 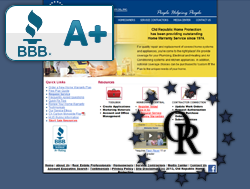 You can also get rating on the top rated home warranty companies too. Free coverage during the listing period. Free? Yes, free. The home warranty is not actually paid for until closing, so the seller receives free coverage during the time the home is listed for sale. This is a major benefit that most home-owners do not know about. Added buyer confidence knowing that if anything goes wrong post-sale, they will not be out a large sum of money for repairs. 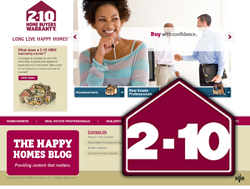 A competitive advantage over other homes in the same price range as your home that do not offer a home warranty. Post-sale headache prevention. Many times when things go wrong with a major system or appliance, the sale of the home can be disputed by the buyer. The home warranty prevents such disputes as the repairs are fully covered. The buyer not only receives coverage to give them piece of mind, but they will also have an opportunity to upgrade the coverage after the closing (at their own expense) for better coverage for their needs. Complete Peace of Mind – no stress over “what happens if we move in and the first week the furnace goes out?” Knowing that all repairs are covered for the first year will allow the buyer to sleep well at night. Renewable coverage. It doesn’t have to end after the one-year contract. 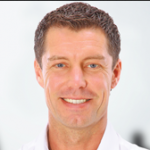 The service can be extended for as long as the buyer wishes to have it in place. What is the difference between premium and optional coverage? Premium Coverage varies with each provider, but generally speaking allows you to cover parts that are not typically covered by a standard home warranty contract. For example, for your dishwasher, the typical contract will cover the function of the dishwasher, not the rollers, baskets, seals, etc. Ask about premium and optional coverage from the company you choose to go with. You will be amazed at the different choices you have available and what you can have covered to give you complete peace of mind either while your home is listed for sale as a seller, or post purchase if you are the buyer. Optional Coverage would include things like, pools, spas, second refrigerators, stand-alone freezers, wet bars, ice machines, wine coolers, wine cellars, and more. What are the drawbacks of a home warranty? Did you know that nearly three-quarters of home-buyers reported the failure of not just one, but at least two major systems/appliances within the first two years of ownership? In California alone, over 90% of home sales include a home warranty. However, the contracts vary and not all repairs are covered which causes undue stress for the new homeowner who thought they were covered, when in reality, they were not. The biggest drawback of a home warranty is when the contract inclusions and exclusions are not properly explained and the new homeowner doesn’t take the time to actually read the service contract. Doing so will eliminate future stresses and ensure you get the proper coverage you want at closing instead of a “bare bones” contract that makes it sound like everything is covered when it really isn’t. Service Calls – most new homeowners do not realize that they are responsible for the service call fee when there is a problem with their appliance. Contracts from reputable companies will charge nominal fees, but fly-by-night companies can charge fees as high as $500. 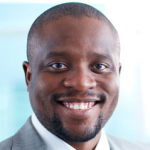 This is why you need to know what all the fees, inclusions and exclusions are. No Control – you don’t get to pick the service company, nor do you have any input as to whether the system or appliance should be repaired or replaced. You may have a system or appliance that is obsolete and should be replaced, but the service contract company can choose to simply repair it. Time Range – what is the time range for repair or replacement? Some contracts allow for 90 days. Read the contract term so you know. Do you really want to go through life without a refrigerator or with no heat in the winter for 90 days? Of course you don’t. Know the coverage and if it is not up to your standards, request the seller to increase the contract to your needs at their expense or you will walk from the deal. Caps on Repairs/Replacement – some warranty contracts have caps, which can cause big problems for the homeowner. For example, if a replacement for a defective refrigerator is $500, but the refrigerator in the home will cost $2,500, the extra $2,000 will be absorbed by the homeowner. The same is true for heating and cooling systems, which can be major expenses. If there are caps, the homeowner will have to meet the extra expenses which completely takes the “peace of mind” aspect of the home warranty contract off the table. How to determine if you need a home warranty? Did you know that one out of every five homes in the U.S. has a current home warranty contract? One of the biggest issues with home warranty companies is that they are not regulated in all states, which has left many homeowners feeling ripped off. Determining if you need a home warranty is based solely on you and your needs. Do your homework and actually READ what the home warranty company is proposing. Don’t take the sales person’s word for it, as what is in writing in the contract is what is going to be binding. Make a list of what you want covered and what your stress areas are. Maybe you are concerned about the heating system. It is old and you worry it will go out soon. A home warranty contract can protect you from huge expenses for repairs or full replacements. However, nearly every home warranty contract comes with exclusions. This is why reading the contract and asking questions is vital in your search for the right company and the right contract. If this is a new home construction and your builder states a home warranty contract will be in place for the first year, and you have experience with home warranties from a previous home purchase, you still need to read the contract as new home purchase warranties are vastly different than those for a previously owned home. Service Fees – you should know how much you are responsible to pay for the service fee and the time frame in which the repair/replacement will take place. The Cost – while you may think the contract is highly affordable, it can also come with exclusions and caps. This is when you refer to your needs and your stress points. Ensure they are being completely met at every level. Also, just because a policy is expensive doesn’t mean it is good. Read every contract and ask about anything you do not understand. There are plenty of home warranty companies and walking away from one that makes you feel uneasy is one of the best things you can do. Service Technicians – while you have no control over which technicians are used for your repairs, be aware that the service tech could attempt to sell you one of their own service contracts as well. Weigh the Costs – If you are living paycheck to paycheck, it may be a wise move to purchase a home warranty contract, and keep it beyond the first year. If your cooling system goes out and it will cost $5,000.00 to replace, that could potentially financially ruin you. However, the home warranty is $600 a year, which is $50 a month, and will cover it. Even after you pay the small service fee, your problem will be taken care of and you won’t be in financial ruins. Company Reputation – do your homework on the company you are considering. Check out their history, ratings and reviews. You don’t just want to check their customer service history, but also ensure they are financially stable. The last thing you want to enter into a contract with a company that is near bankruptcy. If your home is new or your appliances are new, getting a home warranty is usually not worth the cost as the chances of the appliances failing is rare, and if they do, they are usually covered by the manufacturer’s warranty. Repair vs. Replacement – Understand the home warranty company’s stance on this as it is vital if you have an older home. Consumer Reports advises that any appliance more than 7 years old should be replaced instead of repaired if there is a problem. However, the home warranty company may decide, due to costs, to opt for the cheaper repair than the replacement. Should I get a home warranty when buying a house? You can opt for this on your own, but this is something which you should demand from your contractor (if it is a new construction home) or from the sellers (a currently built home). You can, on your own, choose to increase the coverage per your needs, but it is highly recommended that you have coverage for at least the first year of ownership so you don’t walk into a situation where major systems and/or appliances fail, as most people are cash strapped after closing costs and down payments are made on the home. What is a Trade Call Fee? 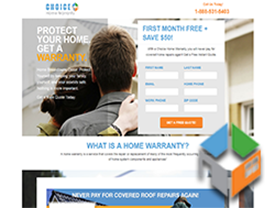 Most people think that when they have the home warranty insurance that the repair is completely taken care of. That is not exactly how it works. A trade call fee is similar to the co-pay you have when you visit the doctor. 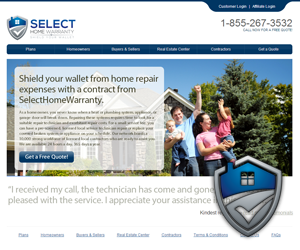 This covers the service contractor to come to the home to diagnose the problem. Read your contract carefully as this trade call fee will be clearly stated and if there are any exclusions for services they will be listed as well. Do NOT just take the underwriter’s word for it, actually READ the contract and ask questions on anything you don’t understand. The last thing you want to happen is thinking you have a policy that covers you and then find out later there was a strange exclusion and you are on the hook for the entire repair or replacement. On average, this fee ranges from $75.00 - $100.00 per claim. How do home warranty companies make money? In the same way insurance companies make money, home warranty companies know of the percentage of contracts they sell which will have a claim filed and they know the average cost per claim. Thus, they price the contracts based on this information to eliminate their risk and assure they will make a profit. Is there a waiting period before a claim can be submitted? This depends on the home warranty service contract you decide on. 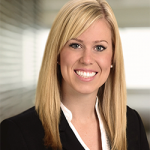 Typically there is no waiting period, but some contracts have a 30-day exclusionary period. Check your contract carefully. Why are some claims denied? Most home warranty contracts cover systems and appliances that fail due to normal wear and tear. However, if the system or appliance stops working due to failure to maintain it properly, if it was installed incorrectly, or if it was modified beyond manufacturer’s recommendations, it may not be covered. Also, some parts and labor may be excluded as well. Check your contract for these exclusions. 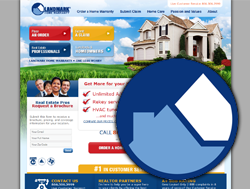 How do you properly compare home warranty companies? How do I deal with home warranty companies if I have a claim? The best thing you can do is report the claim immediately. Don’t wait a day or two; make the call or fill out the online claim right when it happens. The longer you wait, the longer it will be before the service call occurs. If I have a pool or a spa, can they be covered with a home warranty? Yes they can, but it would be an optional coverage and usually not part of a standard contract. What if the systems in my home and my appliances are old? Home warranties cover both new and older systems during the contract period. Generally, there are no age restrictions and no inspection is required. All that is required is that the appliances and systems are in good working order at the time of the contract’s effective date. Who regulates home warranty companies in California? In Florida? In Arizona? In Texas? The Commissioner of Insurance regulates home warranty companies in most states. There are some states where there is little to no regulation for home warranty companies. Always contact your state’s Commissioner of Insurance to get up-to-date information if your state regulates home warranty companies and to what extent. 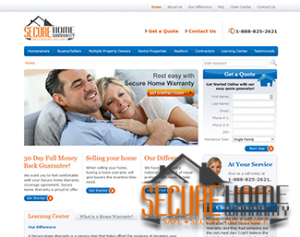 Copyright © 2013-2019 Home Warranty Companies - All rights reserved.